On the night between 15-16th December 1485, Catalina de Aragón was born in Alcalá de Henares in Spain. She would of course in time become more known as Katherine of Aragon, princess of Wales and eventually Queen of England, as we all know ironically not married to the same man while being the princess as when she became queen. For some reason, there is a tendency to bring up the tragic parts of Katherine´s life when her name is mentioned, she lived in misery between the death of her first husband prince Arthur and the marriage to her second husband, Arthur´s younger brother Henry VIII. She lost a heartbreaking number of children and she was eventually cast aside when Henry in a combination of successional panic and desire for Anne Boleyn decided he wanted the marriage annulled. But there was more to Kathrine of Aragon than just the victim she often is portrayed as, born as the youngest surviving child of “Los Reyes Catholicos”, Ferdinand and Isabella – whose actions in defeating the Moors, the Spanish inquisition and role in the conquest of the Americas one can say a lot about but this is not the place – she had a mother who was a Queen in her on right, and who herself had taken part in battle. No doubt she raised a strong daughter in whose corner she would be until she, Isabella, died. Through Isabella Katherine herself had a claim to the English throne as she just as Henry (and Arthur) was a descendant of John of Gaunt, but unlike them not through the Beaufort line which had been barred from inheriting the crown by Henry IV (the legitimacy of that decision has been questioned). She received a thorough education in arithmetic, canon and civil law, classical literature, genealogy and heraldry, history, philosophy, religion, and theology by her tutor Alessandro Geraldini, as well as languages. Apart from the obvious Spanish she also spoke French and Greek, as well as mastering Latin. No doubt her own education played a part when she years later would insist that her own daughter Mary receive the same education as if she had been a prince in line for the throne (which she in reality was). Her promotion of learning was praised by the scholar Desiderius Erasmus who in a letter 1518 mentions Henry´s court as more of an academy than a court, but also describes Katherine as astonishingly well read, far beyond what would be surprising in a woman, and [she is] as admirable for piety as she is for learning”. Katherine was also the patron not only of Erasmus, but of the Spanish scholar Juan Luis Vives who dedicated two of his books to the queen, De Institutione Feminae Christianae (The Education of a Christian Woman) as well as De Ratione Studii Puerilis (The Plan of Study for Children), both written in 1523 while he was tutoring princess Mary. But let´s go back slightly in time, and re-connect to the fact that Katherine was the daughter of a female ruler, Isabella of Castile more than once proved her ability as a monarch, it may not be surprising that Katherine herself proved to be a very competent governor of the realm and captain-general of English army while Henry campaigned on the continent against the French, fighting the relatively minor Battle of Spurs. Back home, on the other hand his wife won a devastating victory over the invading Scottish army at the battle of Flodden. I won´t go as far as to say that it´s a fact that has been ignored, but it´s certainly far too often over-shadowed by the image of the miserable Katherine. 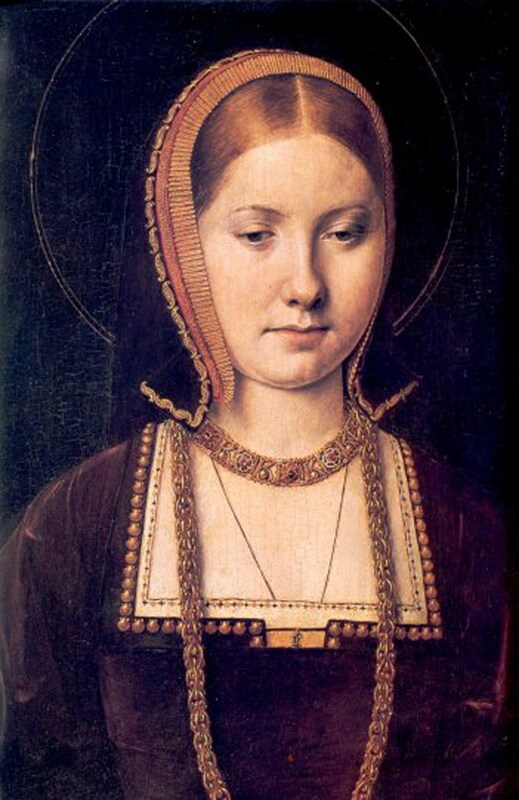 Maybe I haven´t shared something you didn´t already know, but I think that as her 530th birthday is upon us, Katherine of Aragon should be remembered for her knowledge and strengths instead of her failures and misery instead. She was also the sister of Juana la Loca, hence Aunt of Charles V.